Beautiful, gated lake-front living. 2 bdrm, 1.5 bath + den home has newly remodeled baths, updated kitchen & living rm. Kitchen features granite, stainless, glass top cooking & convection oven. Radiant floor heat throughout. Updated community room, heated outdoor pool, sauna, & fitness studio. Excellent Schools, close to MSFT & EZ commute to AMZN, SBUX, GOOG, Downtown, Freeways & more. 1 parking stall, addtl parking and moorage available. Enjoy quiet surroundings close to sought after amenities! Rare Southwest facing corner unit w/gorgeous views of Sound & Olympic Mtns. 1 block to water. 2 blocks to Dtwn Edmonds, just steps to restaurants, shops, beaches... Open spacious layout w/Brazilian hardwoods, huge master suite, new W/D, new windows, remodeled to the highest quality & finishes. Chefs kitchen w/top-of-the-line cabinets, SS appliances, island, granite counters. Covered balcony to relax & watch the ships & sunsets. Secure lobby w/elevator, storage & 2 parking spaces. Welcome Home! WATERFRONT LAKE UNION. Spectacular condo in the heart of So. Lk. Union. State-of-the-art remodel w/exquisite designer finishes, quartz, 48" Napolean F/P, huge kitchen w/island, pantry, created for either large 2/2/ ro separate guest suite w/separate entrance. West facing, watch fireworks, sailboat races, covered parking, extra parking can be purchased separately for 25k, storage, swimming pool, controlled access garage + entry. Minutes to Amazon, Google, Fred Hutch, Facebook, Microsoft. Sought after top floor unit in The Village at Montreaux! This townhouse style condo has been extensively updated to include Radiant floor in Master bath, new Quartz countertops, new lighting & Designer colors throughout. Kitchen with granite and S/S appl. Living room with cozy gas fireplace. Private setting with stunning territorial views and seasonal views of Lake Sammamish. Recent building upgrades: roof, energy efficient windows, siding, railings, landscape and more. Easy access to I-90. Top Floor contemporary 1-bedroom condo in the heart of trendy Columbia City! Great location, minutes to Tutta Bella, Geraldine's, Farmers Market, PCC, Library (Walkscore 91) Wall of windows allows plenty of natural light, spacious open floorplan ideal for entertaining. Contemporary design, bamboo floors, A/C, updated bath & kitchen with granite counters, 1 reserved parking spot. Private covered deck w/Southern exposure, overlooks the garden area & greenbelt. Mins to Downtown via Light rail. Beautiful Viewcrest neighborhood! Cascade floorplan - Backs up to a protected slope buffer and greenbelt. Viewcrest is just minutes from shopping & 3 major freeways, yet it is peacefully surrounded with lush greenery and open space. Offering town home style ownership with the luxury of not being attached. Viewcrest is perched on a hill overlooking the Kent Valley offering up stunning views of the Cascades. First Floor Greenbelt Condo - Providence Point a 55+ Community. 1 Bed/1 Bath unit boasts large & is newly updated. Kitchen features new appliances w/ eat-in nook or dining. Oversized living space w/ privacy & quick access to covered patio, garden space & steps to the nature trail. Generous bath w/ large linen closet & stackable W & D to stay! Extra storage in your detached garage & storage room. Community includes pool & spa, fitness center, clubhouse, sports courts, pea patch & so much more. The Sight and Sound of the Surf will lull you into a sound sleep, and the morning call of gulls will invite you to walk barefoot in the sand. The beach lifestyle of this ground-level condo-tel will relieve your stress far more effectively than medication or a psychiatrist's couch. With up to 30 days of owner�s personal use, and rental income throughout the rest of the year, it's an investment in yourself at a perfectly sane price. Bellevue Luxury Condo. The ultimate in one-level living. Rare ground floor unit with soaring ceilings and extra wide halls; PLUS 2 private patios and private garden area! The grand open sunlit floor plan offers spacious living, Den/office, entertainers kitchen with all new appliances package and patio side dining. Beautiful oversized master features spa like master bath and walk-in closet. 2 car parking next to elevator. Unique with no shared/common walls. A rare find! Amazing opportunity to live high above Pike Place Market with "front row" unobstructed views of Puget Sound, Olympics & Mt Rainier! This architecturally distinctive 2BR+den home on 2 levels offers bright & open living spaces featuring soaring 12' ceilings, expansive windows & private balcony. Enjoy the ever-changing sunsets, vibrant water action & city lights. Steps from Post Alley, Pike Place & future Waterfront Park. Garden courtyard, doorstaff & live-in manager. Storage & 2 parking included. Coveted location in the heart of Sammamish. This light filled 3 story townhome features an oversized daylight basement. Boasts 3 bed, 3.5 bath, top-end finishes, rich hardwoods, granite, stainless, lavish master suite and AC. 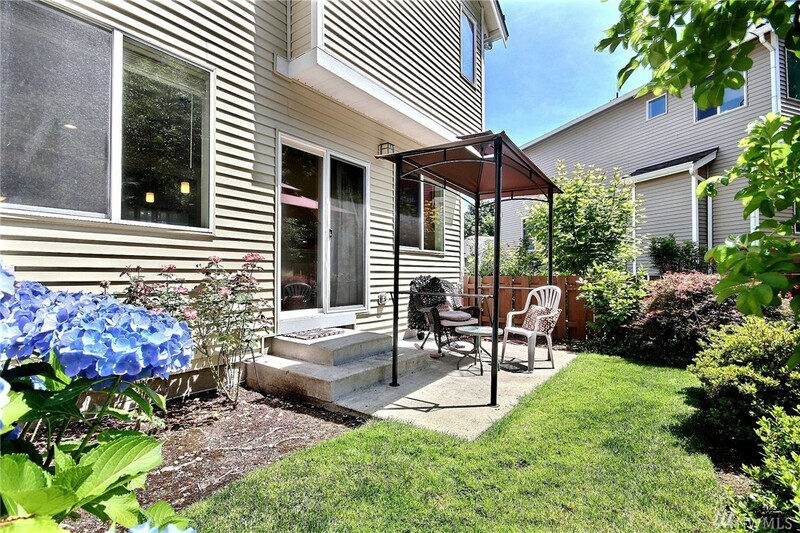 Enjoy your private patio & maintenance-free fenced yard! 2 car garage. Exceptional location w/breathtaking territorial views & central to the Samm. Plateau. Close to shopping, dining, coffee, Microsoft Connector, community center, walking trails. Min. to Redmond & Bellevue. Terrific Thornbury 3 Bedroom, 2.5 Bath Townhome in Excellent Condition with new luxury vinyl planking and new carpet thru-out! This is an "End Unit" with larger fenced backyard area than any other unit AND exterior water source, as well. Just down street from New Fredrickson Town Center Plaza Site! Fire Alarm connected to near Fire Station Location, Sprinkler System in home! 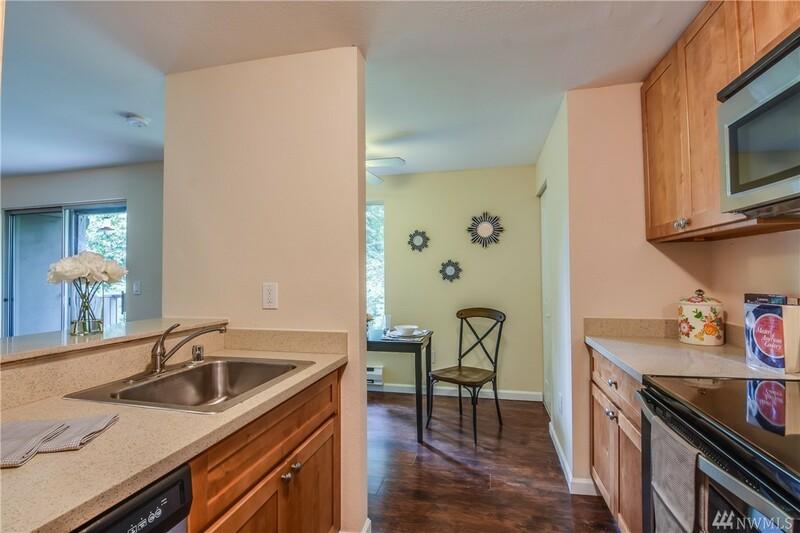 Beautiful Open Area Kitchen with newer appliances! Only 20 minutes from JBLM! Washer/Dryer Negotiable w/full price offer. 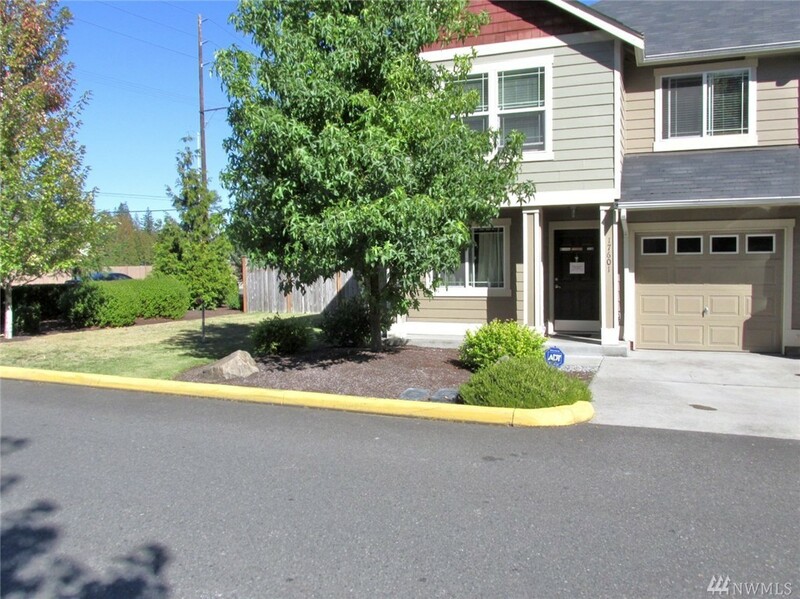 Turn-key 3 bed/1.5 bath condo in park-like Meadowglen at Dash Point. Greenbelt unit tastefully updated w/all new finishes throughout including new maple cabinets & quartz counters in kitchen and both baths. Kitchen also features brand new stainless steel appliances w/warranty. Carpet, hardwood laminate & vinyl flooring is fresh and new. Large master features private 1/2 bath. Enjoy privacy on back deck which sits on the edge of peaceful greenbelt. Convenient location minutes to all amenities. Beautifully appointed, exceptionally well maintained, fully furnished town-home. Spacious and sun drenched. Open floor plan, granite counter tops, up-graded SS appliances, hardwoods, electric fireplace. Spacious kitchen-plenty of room for entertaining and grilling on the patio, BBQ and furnishings stay. 3 bed/3.5 bath, plus bonus room/office. Full bath in master bedroom, tank-less water system, 2 car garage, Enjoy shopping and dining in Mill Creek. All furniture goes with home. Beautifully renovated condo close to everything. Light and bright w/ neutral color and white trim. New paint, carpet, cabinetry, custom kitchen tile back splash and more. All appliances included in sale. Second level with wonderful territorial and mountain views form porch. Assigned parking for one vehicle plus street parking. Manicured grounds surround this fantastic unit. Near parks, only blocks to center of town, restaurants and near college. Low monthly dues and no pet restrictions. 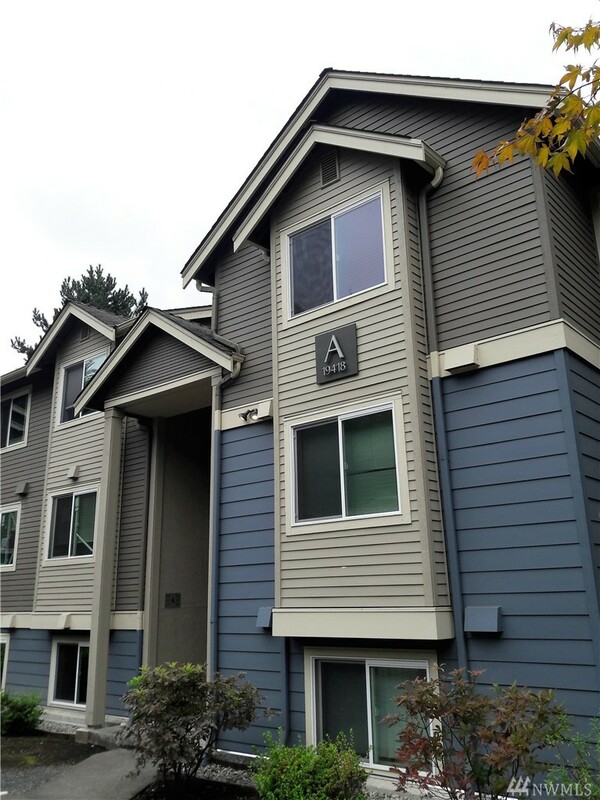 Spacious 3 bedroom 2 bath 1 level condo located within a short walking distance to McMenamins & the Burke Gilman trail! Lg master bedrm features walk in closet & a jetted soaking tub! Heated floor in kitchen! Spacious living room with wood burning fireplace & access to the private patio! 1 car garage with opener! Additional parking spot in front of condo. The entire complex went through a extensive remodel, roof, siding, paint, gutters & windows a few years ago. Assessment has been paid.